Tell-tale signs of tornadoes are a dark or green-colored sky and dark and low-lying clouds, hand in hand with lightning, and large hail. If you find yourself in tornado conditions, get inside and have a designated place to stay until the storm clears. Generally, you want to make your way to a home’s basement or lowest floor, away from windows. It may seem common sense, but despite adventurous depictions in films like Twister, you don’t want to ever attempt to outrun a tornado. 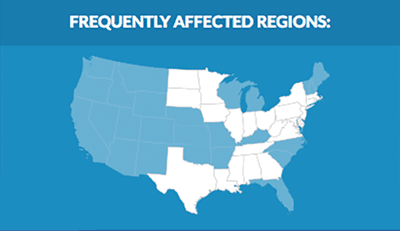 After the storm passes, you can evaluate your home’s damage and seek an evacuation center if you need help or supplies. Try to keep furniture away from windows, and invest in double-pane windows. If a tornado is imminent, consider nailing boards over your windows to reinforce their strength and to keep objects and winds from flying through your home. Stay away from cars, mobile homes, or other automobiles during a tornado. Cars do not make good shelters from tornadoes, and you should never try to outrun a tornado with your car. Secure large furniture. Consider bolting couches or large tables to the floor and fastening bookcases or large paintings to the wall. 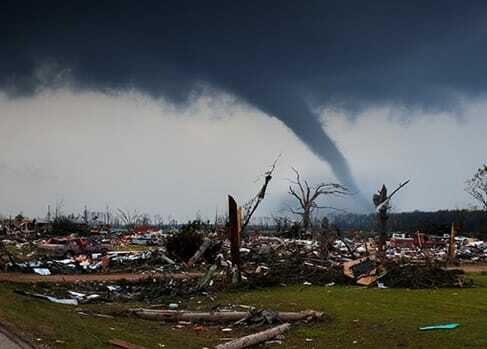 Securing large furniture ahead of time will lessen the chances of large objects hurting family members or damaging property in the event of a tornado. If it’s safe to go outside, you’ll want to locate your gas meter and turn it off. A gas meter is usually located on the side of a home, in the garage, or in a small cabinet. Using a wrench, you’ll want to turn the gas shutoff valve. This way, if any pipes break during the disaster, you won’t risk a gas leakage and possible fire. You should store mattresses, pillows, and blankets in your basement or other shelter area. In case of a tornado, you’ll want to use these coverings to protect yourself from flying debris or falling objects. Keep fresh batteries in a battery-powered radio or small television, so you can get the latest news reports and weather warnings, even if your power goes out. Keep in mind: a Tornado Watch means conditions exist for tornadoes to occur and a Tornado Warning means that a tornado has been sighted. If you have time before the storm approaches, you should turn off your water. With most homes, this means locating a main stopcock, a brass valve with a round handle, usually located in the kitchen, downstairs bathroom, or utility room. 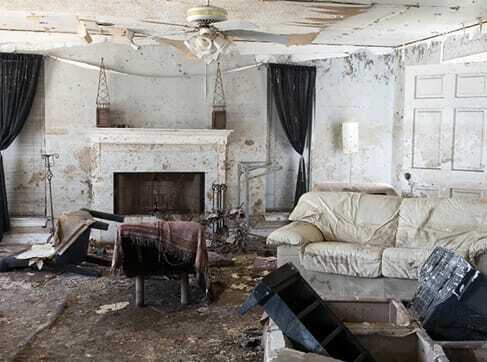 If your property is in harm’s way, you will minimize water damage from broken or leaking pipes. Most homes have a main electrical panel, where you can simply shut off the power to your entire home. There should also be a fuse box or circuit breaker where you can shut off all the circuits. Turning off the power to your home before a tornado hits may prevent damage to your home, in case of electrical damage or exposed wires. 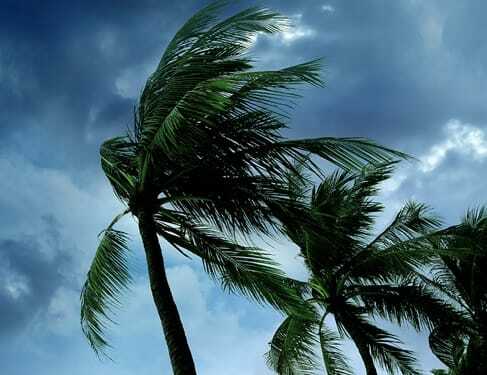 A hurricane is a severe tropical storm that forms in coastal regions and is characterized by high winds, thunderstorms, flooding, tornadoes, and microbursts. Although coastal regions are most in danger of hurricanes, the storms can affect land hundreds of miles inland. You should have a hurricane emergency plan, so you’re prepared. 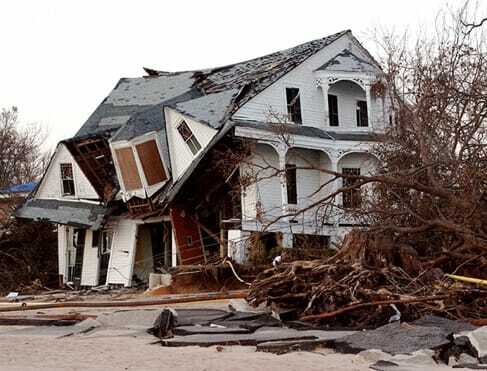 You should research the elevation of your property and know if it’s at risk for floods or mudslides during a hurricane– the storm itself is often accompanied by these dangers. Additionally, you should learn your community’s evacuation plans. The very idea of a hurricane is a scary one, but there are steps you can take to help protect your family and home. Reinforce the internal structure of your roof with metal hurricane ties to anchor the trusses or rafters. You can also install straps or additional clips to securely fasten your roof to the frame structure. All this preparation should help reduce roof damage and prevent shingles from flying off during a hurricane. Board up windows with marine plywood, cut to fit, or install hurricane shutters. Consider also investing in hurricane-proof windows, which should withstand storms better than regular windows. Word of warning: do not use tape to prevent windows from breaking–it doesn’t really help. Trim trees and shrubs in your back and front yard. Keeping your plants manicured should help make them wind-resistant. That way, your trees and bushes can help protect your home and are less likely to cause damage from being blown over. Close all the doors in your home, both exterior and interior doors. Some say that cracking open your windows or interior doors will stabilize pressure during a hurricane, but this is a myth. The most effective way to fortify against a hurricane is to keep the wind and storm out of your home. Sanitize your bathtub with bleach, and then fill it with clean water. If you have to wait out the storm for hours or days, you’ll have a clean water supply for drinking and sanitary needs. Turn your refrigerator to its coldest setting and keep its doors closed. Many times, the power goes out during hurricanes, and the food in the fridge will only last so long. If the power goes out for four hours or more, you should throw away perishable food in the fridge and keep frozen food in the freezer for as long as possible. Clear loose and clogged rain gutters and downspouts. Clean gutters can help prevent damage to your home from heavy rainfall because they redirect water and help prevent flooding. Install reinforced garage doors. Garage doors play an important role in protecting your home from fierce hurricane winds. When garage doors aren’t reinforced, winds can sometimes force them open, causing damage to the home’s structure. Earthquakes that occur in one state can easily have an impact in another, so it’s a good idea to have an earthquake plan, no matter where you live. First, put together an emergency kit and make an earthquake emergency plan with your family. 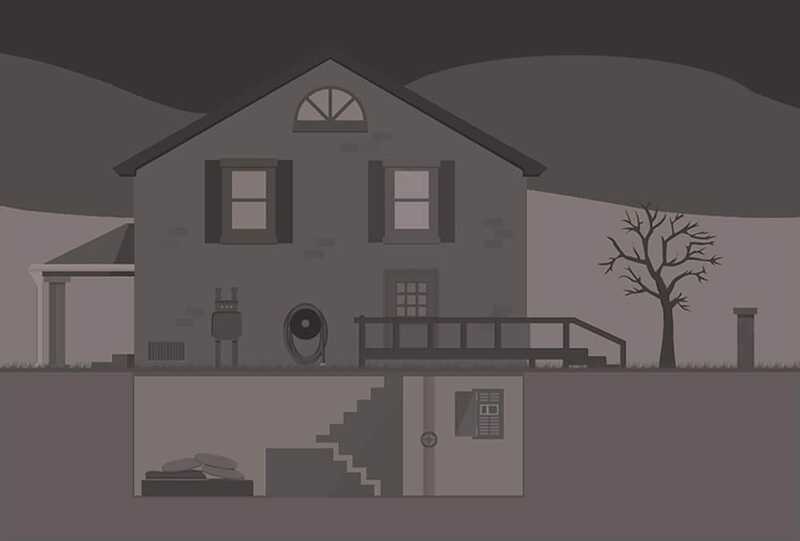 To prepare for an earthquake, you should clearly lay out the best places to brace yourself in the home, and make sure everyone knows where you keep the family emergency kit. During an earthquake, you should move away from heavy objects, drop to the floor, and cover your head and neck. It’s important to sit tight and wait until the earthquake has ended before assessing the damage. Once the earthquake is over you can proceed to check on your family, home, and neighbors. Secure overhead light fixtures and fans with braces to better keep them in place. In the event of an earthquake, try to move away from objects that could fall. Store breakable items, such as glasses, china, or bottled foods in cabinets with a latch. That way, the cabinets can’t open during an earthquake, and you’ll be less likely to break fragile items or cut yourself on broken glass. Secure large appliances, such as the water heater, refrigerator, or furnace. Strap them to the wall with studs or bolt them to the floor, so they won’t slide around during an earthquake. Strapping down large appliances may prevent damages and save you money. Store weed killer, pesticides, and flammable products in securely closed cabinets with latches. An outdoor shed would be a perfect place to keep these kinds of materials. You don’t want any of these chemicals to spill and risk a fire during an earthquake. Locate safe spots in your home, usually under a sturdy table or against an interior bracing wall in your home. Your safe spots should be away from heavy objects, windows, or shelves. Because earthquakes are short and you never know when they will occur, you should find safe spots throughout your home. Install flexible pipe fittings to avoid gas or water leaks. Flexible pipes will bend in the event of an earthquake, as opposed to metal pipes, which can break. With flexible pipes, you decrease the risk of pipes breaking, therefore preventing structural damage, fire, and injuries. Make sure bookcases and shelves are securely fastened to the wall, so they don’t topple over during an earthquake. Place heavy objects on lower shelves, so they don’t fall and hurt anyone. Repair any deep cracks in the ceiling or foundation. If you have any large cracks in your home (that you could slip a coin into), it might be symptomatic of a foundational problem, which could be devastating in an earthquake. If you have any such cracks in your home, you should contact a repair contractor as soon as possible. Floods are one of the most common hazards in the United States, but not all floods are alike. Some develop slowly, while flash floods can appear out of nowhere without visible signs of rain. Floods can occur from a variety of catalysts, including heavy rainfall, overflowing rivers, or dam failure. Because floods are not limited to a particular geographic area, it’s important to have an emergency flood plan, no matter where you live. You may be especially vulnerable to floods if you live in low-lying areas, near water, or downstream from a dam. Even very small bodies of water that appear harmless in dry weather, such as streams, gullies, and creeks can pose a flood threat in certain conditions. Make sure you and your family knows the bodies of water around your home, and be sure to have an emergency flood plan in place. Seal your basement walls with waterproofing compounds, such as Drylox or Xypex. Drylox is a waterproofer that can be applied like paint, and it expands as it dries to become part of the wall. Xyprex is more like applying a layer of waterproof concrete to the surface of the wall, and it can be applied with a cement brush. Both will help prevent water from seeping through your walls. You should buy and install sump pumps with backup power. A sump pump is used to remove water that has accumulated, and it can be used to relatively easily restore order to a basement after flooding. The pump can relocate water from your house to a safe area, such as a storm drain or dry well. Plug your basement floor drain to prevent sewage backup and to prevent the basement walls from caving in from outside pressure. 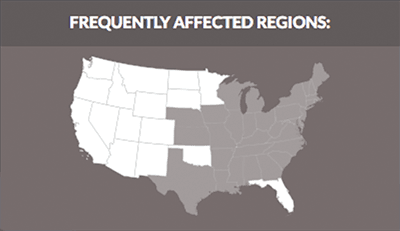 Elevate your water heater if you live in an area with high flood risk. You can relocate your hot water tank to the first floor instead of the basement, or you can elevate it on a cement pedestal. Consult your local building department for recommendations in your area. Sanitize your bathtubs and sinks with bleach, and then fill them with clean water. You might also want to fill empty plastic soda bottles. If clean water becomes scarce, you’ll have a good amount for yourself and your family. 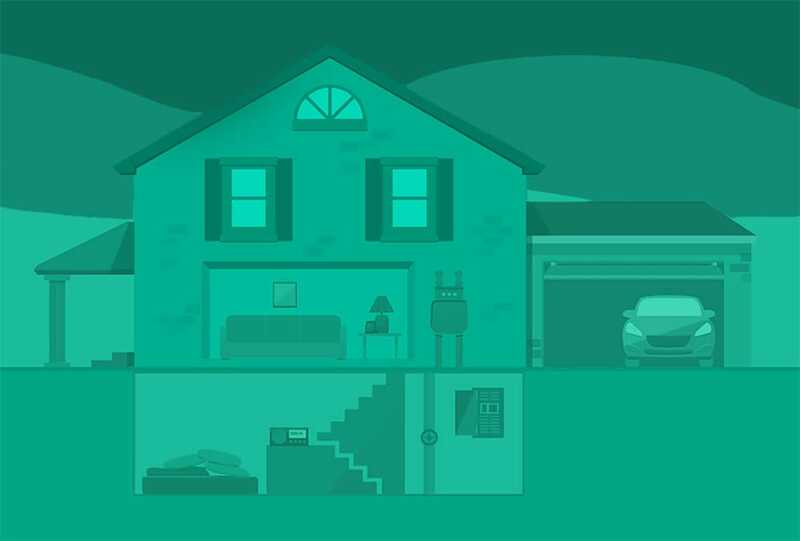 Disconnect all your appliances and your furnace. This will prevent electric shock if there is standing water when power is restored. 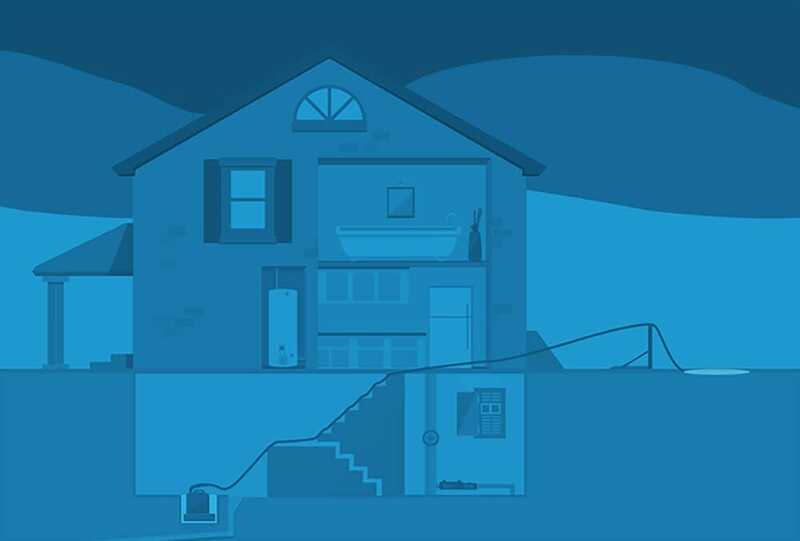 Turn off electrical power when there is standing water, fallen power lines, or before you evacuate. You can usually turn off your electricity through a circuit breaker or main electrical panel. If you have time, turn off gas and water before you evacuate, too. Install check valves (or backflow valves) in your pipes to prevent water from backing up into the drains of your home. This should help prevent contaminated water from flowing back up your pipes, and it may help protect your home if any pipes become damaged or broken. Construct barriers to stop floodwater from entering your home. You should build barriers with water-resistant materials, which includes marine plywood, greenboard, rigid insulation, synthetic baseboards, metal doors and frames, sandbags, brick, and concrete. Wildfires are most common in dry areas, especially near forests, rural communities, or mountains. Often, wildfires are triggered by accidents or lightning, and sometimes they go unnoticed at first. Typically, a wildfire will spread quickly, destroying trees, brush, and homes in its path. If you live in an area with a wildfire risk, prevention starts with how you build your home and design your landscape. On a day-to-day basis, fire prevention also means keeping your home well cared for, so there isn’t flammable debris piling up around your home. It’s also a good idea to have a plan for where your family should meet, and where you will stay, in the event that a wildfire threatens your home. Clean your roof and gutter frequently. The dry leaves and debris that collect on the roof and gutter can easily catch fire from flying embers. Keep your lawn hydrated and maintained. Dry grass easily catches on fire, so you should cut it when it appears. Clear and remove wood piles and dry vegetation, since these materials can provide fuel for wildfires. Cover all vents with metal mesh. This will help prevent embers or smoke from entering your home through the vents. Fire-prevention starts at a basic level, with the materials used to construct your home. Use fire-resistant building materials when building or remodeling your home. Good materials include stucco, fiber cement, and wall siding. Have a garden hose that’s long enough to reach any area of your home and the surrounding property. If there are any small fires that can be easily contained, you’ll have a hose that can reach the entire property. Install dual-pane windows, which don’t melt easily. Sturdy windows can help secure the your home against wildfires. Dead vegetation loves to collect under decks in your yard. Regularly remove dead vegetation, so that it doesn’t become a pile of kindling. You can also use 1/8 inch mesh screens beneath porches, decks, floor areas, and the home itself if you want to prevent debris from piling up in hard-to-reach places. Plant fire-resistant shrubs and trees. Some fire-resistant shrubs include Redosier Dogwood, Oceanspray, and Azaleas. Hearty, fire-resistant trees include Maple, Willow, and Alder. Highly-flammable plants include Juniper, Evergreen, and Eucalyptus–you want to avoid plants with dry leaves or those that produce lots of debris. Instead of constructing a wood fence, opt for a fire-resistant wall made out of brick or stucco. Building a sturdy perimeter barrier around your home may help protect it from fire and embers. A natural disaster is a devastating event caused by rain, wind, fire, and even earth that endangers people’s lives and property. 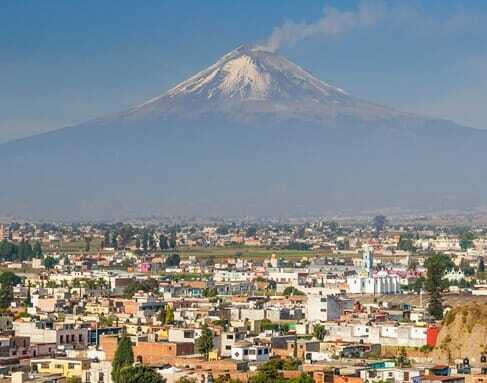 Although there is often little that can be done to prevent a natural disaster, people can take steps to reduce the effect that it has on themselves and their property. 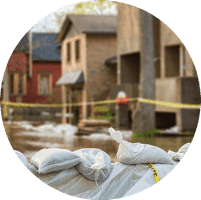 When it comes to our homes, it is important to know how to prepare for the numerous threats from nature. Not only will this save your property from excessive damage, but it may also help to save the lives of loved ones. 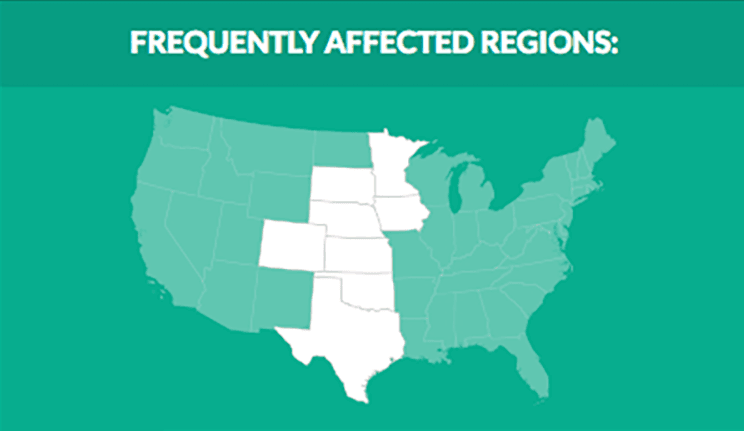 Flooding is a natural disaster that can affect anyone, regardless of where they live. In the U.S. it is in fact the most common type of natural disaster, with flash-floods causing an estimated 200 deaths annually. To protect yourself in the event of a flood, you should always seek higher ground. Don’t attempt to drive– driving through flood waters could cause your vehicle to become stuck and even swept away. For family safety, you should understand what to do in the event of an earthquake, such as find shelter beneath a sturdy table or desk. If you’ve been issued an earthquake warning, to prevent an explosion or fire, the gas and electricity should be turned off. In case of emergency, you should always keep supply of both water and food should as an emergency backup that will last your family for at least three days. If you live in an area especially vulnerable to wildfire, there are steps you can take to secure your home. When you build a home, you’ll want to avoid using any type of combustible material on your roof, or on any other part of the home. When using wood to construct any part of the home, it should be fire-resistant treated wood. Or opt for fire-resistant materials, such as stucco or fiber cement. You can also take steps around your home’s perimeter to help prevent wildfire damage. Around the outside of the house, shrubs and other plants should be of a fire-resistant variety and should help contain as opposed to fuel fire. Lawn furnishings and any items that could easily burn should be moved away from the home so that it is outside of what is considered the defensible space. You should also have a hose that is long enough to reach around the entire house. Lives and property are lost on a yearly basis as a result of hurricanes. These low pressure tropical storms are common in the Gulf Coast, and can cause damage to property as a result of wind or flooding. 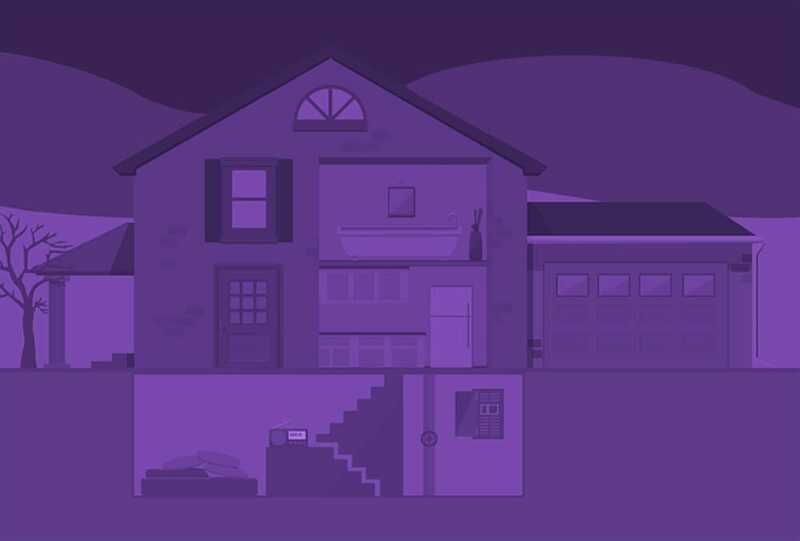 If you live in an area with hurricanes, it’s important to fortify your home against a hurricane before one occurs. Learn your community’s evacuation plan in case of a hurricane, and do not attempt to wait it out if you’re issued an evacuation warning. There is little that you can do to prepare your home for hail. 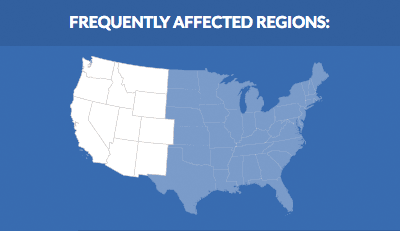 In areas where hailstorms are frequent, you may consider replacing an old roof with an impact-resistant one. Likewise, because hail can shatter windows, it’s a good idea to install double-pane windows, and keep your shades or blinds drawn during a hailstorm. 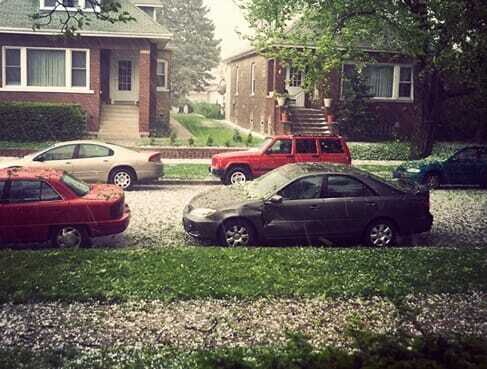 To protect yourself, it is important to move indoors and away from windows when a hailstorm begins. If not in the direct path of lava flow, you may not be advised to evacuate. Keep your windows and doors closed to minimize the amount of ash that enters your home. Place moistened towels in front of closed doors and windows to prevent lava or ash from entering on a draft. If lava threatens your home, you should also cover and unplug all electronics. You should also keep emergency food and water for your family for three days, in case it’s needed. 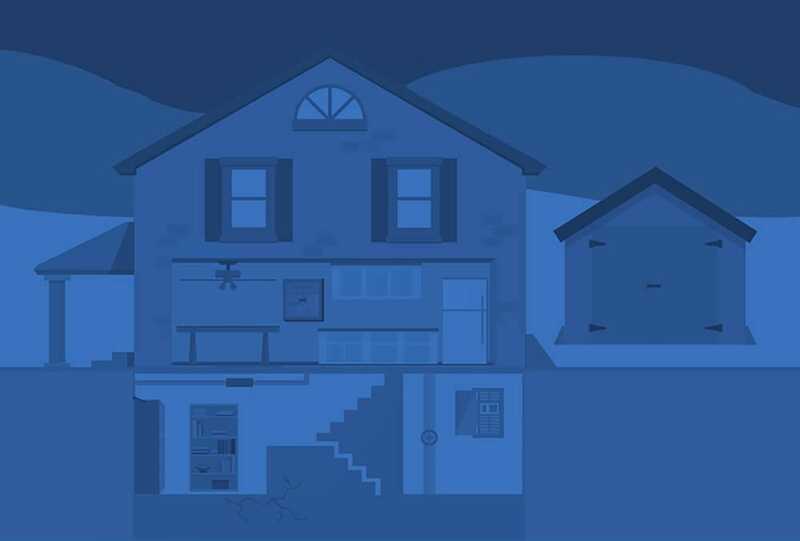 Even if a natural disaster is not immediately threatening your family, it’s a good idea to keep an emergency kit in your home, and make sure the entire family knows exactly where it’s located. That way, if there’s any type of emergency or disaster, your family will know where there are supplies to help. For each natural disaster scenario, consider sitting down with your family and making a plan, so everyone knows where to go and what to do in case a natural disaster occurs.